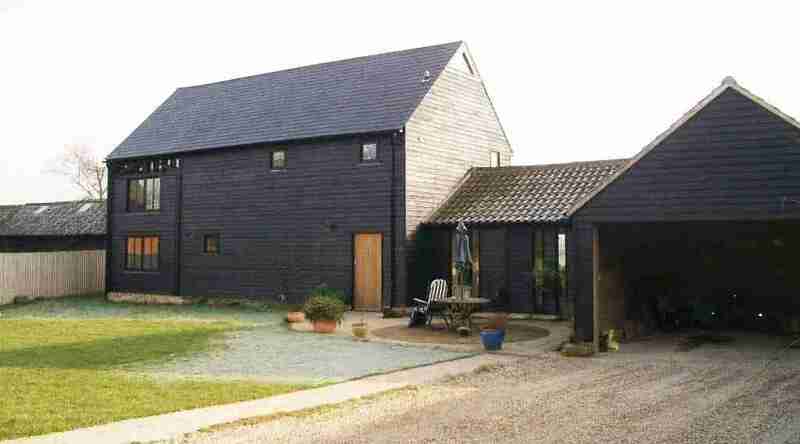 A barn conversion in Essex is an attractive option for those looking for a rural home close to London. Carrying out a barn conversion in London or Essex is much more challenging than finding a suitable new house for sale on an established development, but a contemporary barn conversion offers a gamut of possibilities that you would struggle to find anywhere else, even with new builds. Despite their appeal, barn conversions can be daunting projects to undertake. No two are the same: there will always be differences in terms of design, location, personal requirements and planning issues, not forgetting costs. As a firm of experienced RIBA architects with proven expertise in converting and renovating barns, we can help you take your barn conversion project from planning to completion. Why invest in a barn conversion? A barn conversion offers a practical bridge between the attraction of old and the functionality of new. 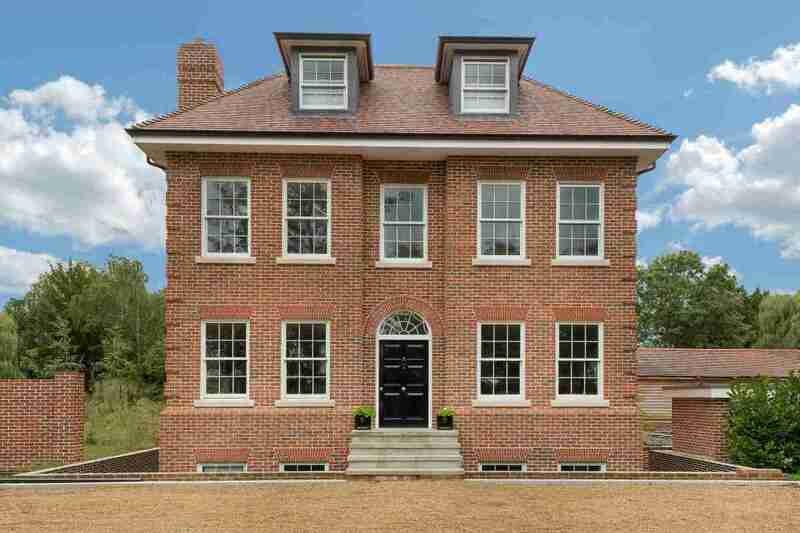 You will benefit from owning a property that is full of character and local history; situated in scenic countryside and, upon renovation, will provide the comfort and practicalities of contemporary living found in a new build property. A barn conversion allows you to have effectively a new house in a rural location where planning permission for development would not normally be granted. You can find examples of this type of property development in the surrounding areas of the popular villages in Essex, near Epping, Ongar, Brentwood Braintree and Chelmsford..
Barns are versatile, suiting a variety of tastes In the South East of England, there are many barn conversion interior design experts, but we pride ourselves on being the best. Recent changes to planning rules has encouraged a rise in popularity of redundant farm buildings such as Dutch barns and corrugated metal barns. Elsewhere stone barns are more available for conversion. Coming in all shapes and sizes, barns can accommodate a broad range of needs. For people who wish to develop a large unique ‘one off’ statement home, voluminous interiors allow plenty of scope for grand halls, staircases and mezzanine floors. For those wishing to live off grid the more remote buildings offer a modest country dwelling with an acre or two for smallholding activities. 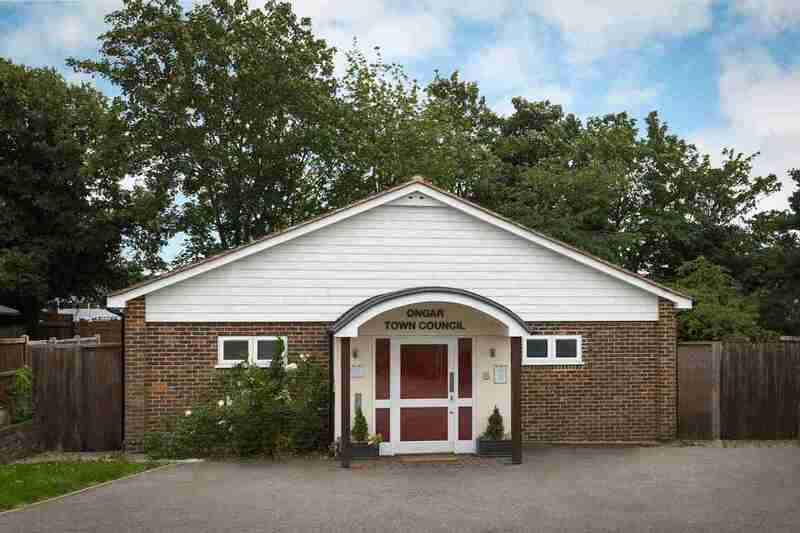 Then there are those wishing to retire and downsize from a larger town house to a small home in the countryside; structures that are only suitable for ground floor dwelling are a great alternative to a bungalow. Barns can also offer a good opportunity for business investment. Following additional planning changes in 2018, one structure can now be divided into five residential dwellings thus becoming an attractive development proposition to builders. Some, subject, to planning permissions, are converted for business use, such as B&Bs, holiday rental houses, rural retreats or tranquil company headquarters. 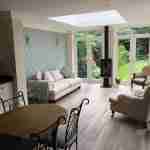 Designing your new barn conversion home. Our barn conversion interior design experts have enjoyed working on a wide variety of wooden barn conversion projects in London and Essex. With only the shell of an existing building to begin with, barn conversions allow you to stamp your own personality on your new home as if it were a new build. You may wish to feature the dramatic vaulted ceilings and exploit high ceiling space to ensure plenty of double bedrooms or to maximise the wonderful open spaces and accommodate the design trend for open plan living and dining areas. However, experience tells us that good planning at the start of a barn conversion project is key to a successful outcome. It takes considerable skill, experience and practical knowledge to achieve the full potential of a structure that was not originally intended for dwelling purposes. 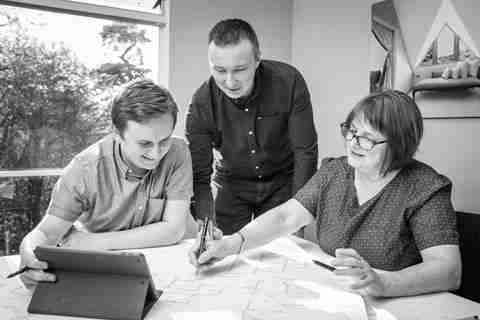 Our talented design architects will work with you to help you design and build the home of your dreams, whilst keeping within the boundaries of permitted development and as far as is reasonably possible, keep on budget. We can lead you through the process from initial idea to completion. In order to achieve a planning permission to convert a barn we will need to introduce you to all the specialists consultants that are required to achieve a planning permission and to satisfy the many planning conditions that are set on an approval. You will need to have a Historical appraisal of the existing structure, structural appraisal by a structural engineer, an ecology and bat survey, desk top study for contaminated land report and soil testing and subsequent reports, flood risk and surface water drainage reports – all by specialists. If the building is a listed building or is in a conservation area then further rules apply. You should expect one to two years lead in time from idea of building to start of build and to set aside a significant budget to deal with these matters on top of the build. We can guide you through this maze of requirements having local knowledge, contact with reliable outside consultants. Questions we are frequently asked about barn conversions. How much do barn conversions cost? This is a difficult area to quantify. Costs will depend on numerous and variable factors, including the barn’s location, the materials used to build it, its general state and what your plans are, as well as potentially unforeseeable issues. A good starting place is to look at the costs of your architectural and legal advice to get you to through the planning stage. These can then be deducted from your overall budget, this will give you an idea of what you have left to spend and you can work backwards from there as to the specifications you work to. We would always strongly advise that you make sure you have a good contingency fund – a barn conversion will invariably throw a few unexpected challenges your way. As a guide, costs vary between £600 – £1,250 per m2 to convert – more than a typical new build. Stone barns tend to be the most expensive to convert, followed by wood and then brick barns as the cheapest, although this obviously depends on the starting condition of the barn and your plans for it. Private individuals can reclaim VAT paid on labour and materials on a barn conversion. If you use a VAT registered builder, they will invoice their work at the reduced rate of 5%. Any materials you buy directly will be charged at standard VAT rate. On completion of the project, you can submit your receipts and claim your VAT refund – this claim must be made no more than three months after the conversion work has finished. What do we need to consider when planning a barn conversion? Is it the right location for you? How remote is it from public services and amenities? Do you have a car? Can all members of your household drive? Is public transport available? Do you need to be a few minutes drive to schools, shops or hospitals? Do you value the company of neighbours? Check the viability of the agricultural structure.Will it take too much of your project budget to make good? Do you have a clear understanding of what land is included with the purchase of the barn and whether it meets your purpose? Is there suitable access to the property? Are utilities such as gas, water, electricity, sewage, phone lines already connected? Can they be connected and if not, what are the alternatives? How dark is your barn? Local authorities generally insist that you only use existing openings as windows. Are you able to reclaim and reuse original materials, or other local materials, so the barn retains its relationship with the landscape? ‘Permitted Development’ and ‘Prior Notification’ just Planning Permissionrules under different titles? Being an experienced barn conversion interior design company, history tells us that putting forward a robust planning and architectural case that answers all the criteria for the planning officers can be instrumental in getting permission to proceed with a barn your conversion. We caution our clients to understand that ‘permitted development’ is not all it seems and that there are grey areas to be negotiated. Planning laws have been relaxed but plans for your barn still need to meet all the strict criteria under the new rules of ‘permitted development’. Firstly, you must notify the local authority of your plans for the agricultural building. This is a process known as ‘Prior Notification’. The council will look at your proposals and if the criteria under ‘permitted development’ are not met they have the right to refuse your proposals or put conditions on the project. These criteria are very strict. What are the essential criteria under ‘Permitted Development’ rules? is the building larger than 450m2? Is it an agricultural unit or an outbuilding e.g. a garage in a large garden? Will the original shell be left standing, or will it require new structural elements to be built to make the building suitable for conversion? 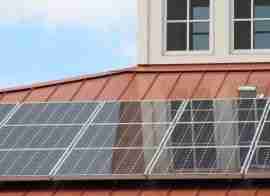 Will it require works other than the installation or replacement of existing windows, doors, roofs or exterior walls, or bringing services such as water, drainage, electricity or gas that would be considered reasonable in a home. What if my barn conversion in Essex doesn’t meet all the permitted development criteria? 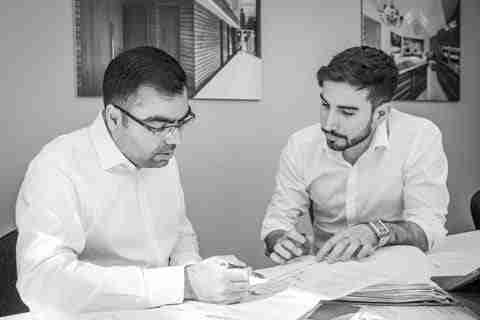 Our practice has long established, good working relationships with local planners which means that we are well placed to put forward designs that should meet the demands of the various local authorities. However, we may recommend a feasibility study to discover whether your proposed plans will be able to meet the local planning regulations before you make any significant financial outlay. Converting an old barn can represent a significant investment on your part, it is important therefore that the design and refurbishment will stand the test of time. At MP Architects we aspire to guide you towards a sensitive design that encompasses the heritage of the existing barn but embraces the best of contemporary design and new technology to ensure the property is one you are proud of and remains attractive to any potential investor in the future. So if you are looking for a barn conversion, London is full of companies offering their services, but we truly believe that we are the best! Click here to view our Barn Conversion London Portfolio. 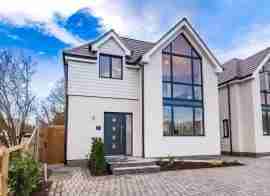 Residential Architects in Essex and London. As one of the leading residential architects in Essex and London, we have worked on a wide variety of residential housing projects across the county and and are always excited to be invited to design new homes. Our excellent relationships with the local planning authorities, together with our solid knowledge of local planning and building regulations, has gained us an outstanding reputation for obtaining planning permissions for new build houses. Our team consists of only the best London residential architects. 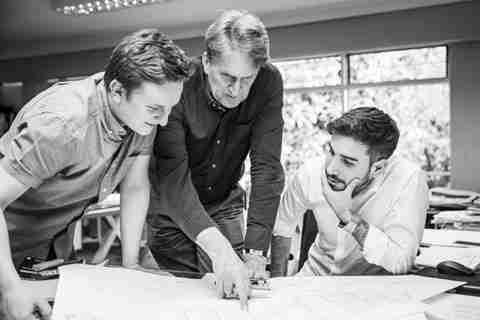 Whether your project involves a modest dwelling on a small plot; or a statement house on a larger scale plot, or a multiple commercial housing scheme, our team of talented RIBA architects, designers and technicians enthusiastically embrace the challenge of taking the ‘blank canvass’ of your plot and creatively working with you to provide designs that will fulfil your vision. Benefit from a collaborative, enjoyable and accessible partnership with our architectural design team. We know that the success of the project depends on the quality of our relationship with you as much as the quality of our design expertise. Consequently, it is very important to us that we make time to understand your ideas and plans, therefore our first step in the design process is to have an initial discussion with you to map out your wish list for your plot. This could involve discussing whether your garden is big enough to accommodate another building or exploring how to release the greatest investment potential of a plot bought for financial return; or to maximise the beauty and functionality of the location of a plot bought to see you through many stages of your life. We are expert in drawing up plans for bespoke homes that are mindful of this. Conscious that circumstances can change, if appropriate, our architects will invite you to explore beyond your immediate requirements and highlight ways that your property can be flexible and adapt to reflect anticipated future lifestyle requirements. We always aim to add value through good design and planning. Our practice does not support a particular ‘house style’ and our portfolio contains properties that reflect many architectural styles. This means that we have experience of a variety of different designs to be able to suit a majority of tastes. Appreciation of design is very subjective; it may be that you like modern contemporary design with a minimalist open airy feel; or love the look of the informal New England style houses or are after a neo classical frontage. You may wish to see several different styles reflected in the overall design. Our contemporary residential architects in London can help you today! Like all the best residential London architects, we know that good design will add considerable value to your end project and it is important to us that your finished home will not only be warm and welcoming, something to be proud of and somewhere you wish to be, but an asset too. We will also be checking that as far as is reasonably possible the proposed building will sit well on the plot in terms of aspect, taking advantage of natural lighting, accessibility from the road, and that it will reflect the heritage of the local area so to optimise your investment return should you choose to sell. Our investment in up to the minute design software makes committing to a new build project less daunting. By taking advantage of the latest technology you can make informed decisions right from the start. As standard practice we include 3D sketches of your new house design with your plans to help you visualise the project. Should you require, we can also carry out an initial project feasibility study, or you may commission 3D Modelling and Visualisation of the proposed design, this will fill out the finer details including proposed materials and interior design. Any of these options will help you determine the viability of your project, fine tune the design and give you the reassurance you need to proceed with confidence before making a further significant financial commitment. We are one of the best residential architects in London so contact us today! Our team of commercial architects is experienced in all aspects of commercial residential design and pays particular attention to the “sellable” features”, floor areas, and layouts to maximise the efficiency of a layout and allow a profitable development return for our commercial clients. We have experience with both large and small developments: it may be that you wish to turn a large house into a block of flats to take advantage of the rental market; or have purchased block of land with the intention of building a mixture of residential new housing. Whether it is a single dwelling that is required, or multiple housing, we can meet your needs, either by design only, or construction working drawings on a Design Build project. We also carry out initial site feasibility studies to ascertain the viability of a site before purchase and give you that reassurance you need to invest in your scheme and to proceed with confidence. We know that the best London residential architects need to take affordability into account for their clients, managing costs is always a consideration regardless of the size of budget available. We will, as far as is reasonably possible, do our best to deliver your project on time and on budget. Of course, the size of budget you choose to invest in your project is your decision, but it is important to us that your money is spent wisely and that you are investing in a building project that, even if the desire is not to sell, is best placed to realise a good return on your capital investment. We will be looking to point out the break point where we believe investment in the project will incur more costs than the plot will return so that you can make informed choices. As commercial architects the practice has always been committed to protecting the environment and we work closely with sustainable energy consultants in the design of developments to reduce the carbon footprints of new buildings by utilising renewable energies and efficient construction design. The deployment of innovative sustainable practices and materials ensures our buildings are warm and energy efficient as well as healthy to live in. We are proud to have worked with many large corporations on residential housing projects including the following. We believe in investing in listening to you and our initial consultations are usually free. Our contemporary residential architects in London look forward to hearing from you to discuss your ideas and to give you the benefit of our many years of experience to help you realise your investment in a new home project. Click here to view our New Housing Portfolio. 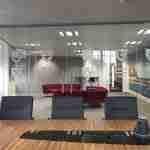 Commercial architects in Essex and London – adding value marrying functional spaces with creative design. A Chartered Architectural Practice with specific experience in commercial projects is the first choice for many business investors when developing a new business site or upgrading and updating existing commercial premises. Our commercial architects enjoy the task of designing premises to reflect the businesses and activities that operate from them, and MP Architects LLP has a proven record in commercial architectural design; delivering high quality projects for a variety of commercial clients across different market sectors, throughout London and Essex. Our comprehensive portfolio includes shops, restaurants, cafes, offices, a doctors surgery, a dentists surgery, a publishing company, tennis courts and warehouses. When it comes to commercial architects, UK companies are some of the best in the world. Protecting your investment in branding and marketing. Our commercial architects in London take care to incorporate and protect your brand identity in the design process. We know that before embarking on a building project, you will have already invested considerable time and money in identifying the corporate image you wish to present. We understand that externally a building should enhance and convey a company image in a positive way; whether this be on the blank template of a new build project or incorporated in a design that is to improve an existing building. 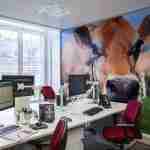 Attention is also paid to the interiors of buildings so that they are also designed to project the image you require. However, throughout the design and planning process it is always the aim of our commercial design team to keep sight of the needs of the end users as well as retain the structural integrity, safety and accessibility of the building. Understanding our client is key to successful commercial design outcome. We believe it is important for a commercial architect to fully understand what it is the client is hoping to achieve if a project is to be successful and costly mistakes avoided. Our design team achieve this by working closely with you. As a commercial client you will benefit from a very personal service whether we are involved in just the initial planning or are managing your whole project. We have thorough first meetings and subsequent detailed design meetings so that an accurate proposal; one that maximises the amount of proposed space without compromising functionality and design, is drawn up. Often a feasibility study is carried out or 3D visualisation is utilised so that you can be sure your vision will work as a project, and that what you have in mind is reflected in the drawings before proceeding further along the design stage. Commercial architects near me is one of the most common architecture search terms on the internet, but using the closest one to you means you might not get the best company. Expert project management is integral to managing costs. Our commercial design team also understands that efficient, responsive communication is paramount to the satisfactory conclusion of a commercial project and that often many parties need to be kept fully briefed. Whether we are involved in just the initial planning or are managing the whole project. our aim is to keep all parties involved fully briefed on progress across all aspects of our work on your project. If you are searching for commercial architects in London or Essex, who work to a high standard we look forward to hearing from you. An initial exploratory consultation is usually free. Click here to view our Commercial Portfolio. Essex and London House Extensions. A house extension is one of the most popular methods of adding space to a home. The demand for house extensions in London and Essex shows no sign of slowing, and as one of the best residential architects in London and the surrounding area, our team have helped hundreds of clients transform a living space they have fallen out of love with into a beautiful warm and welcoming living area they can be proud of. Depending on budget and requirements house extensions can just be a simple ground floor addition to the back of the property or much grander, incorporating a double storey wrap around extension that totally transforms and updates the original building. Read on to learn more about what our house extension architects do. Why consider a house extension? Our experience shows that our clients consider enlarging their property for a variety of reasons. Modern house extensions in London are actually very popular. Often it is a case that a growing family, or the need to look after aging relatives, finds them compromised on space. Some find they need to add an office or work space to allow them to comfortably work from home; others may have purchased a new home with the view to increase the living space before they even move in. Generally, location is a key determiner in decision not to move. More often than not, clients seeking our home extension services like the location of the property. They are familiar with the area, have easy access to key amenities, their place of work or good schools and usually have supportive networks in place that would be hard to replace. They do not wish to go through the chore of selling their existing property and endure the stress that finding and moving to a different one often entails. Cost can also be a major factor when deciding whether to move or improve the existing living space. 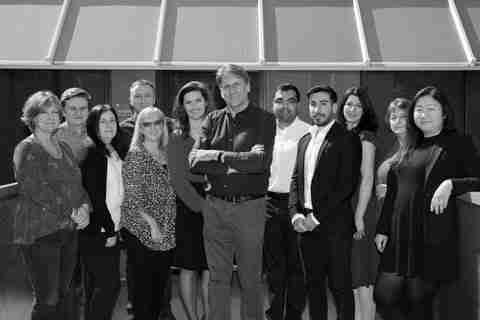 The design team at M P Architects LLP always aim to add value through good design and planning. Often our clients find that not only have they enhanced their living space but have added value to their property investment too. Although extending your property will certainly incur significant costs, it could represent better value for money than leaving an existing property and securing a new one. Whatever your reasons for extending your home, Our experienced team of architects and technicians love the challenge of revitalising a tired living space and working with you to give you a bespoke home that fully meets your needs and requirements and allows you to remain in an area that you love in a home that often you are emotionally attached too. London house extensions can be subtle and in keeping with the original look of the home or represent a dramatic facelift and update. The popular T.V property programmes demonstrate just what an amazing transformation can be achieved by having an extension. We have designed extensions for many styles of property, including barns and listed buildings. Take a moment to browse our site and look at what our house extension architects do and our project portfolio to see what you could achieve. 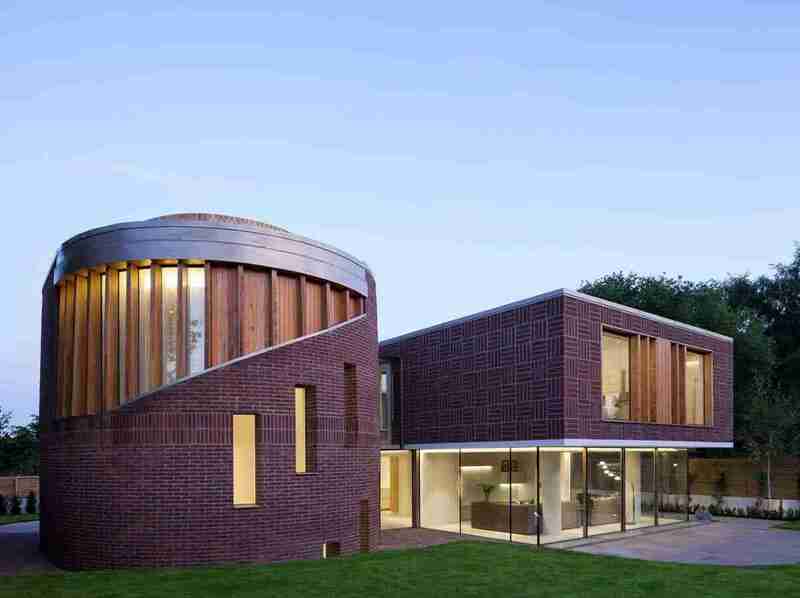 Why use a M P Architects house extension services? The knowledge that our RIBA architectural design firm can bring to your project will give you peace of mind. Our experienced team of architects have designed many house extensions in London and our expertise in this field means that we can very quickly see any possible potential for enhancing your property. You will benefit from experienced advice in terms of different design options that will make creative use of the available space and through innovative design, provide better integral planning whilst keeping in touch with your budget and design preferences. We will be on hand to deal with the, sometimes complex, local planning requirements and mandatory building regulations. If you wish, we will also look at all your house and develop a master plan for developing and improving your property now and in the future. And if you feel overwhelmed by the process, we can provide a full project management service where we will oversee and your whole project from start to end. Our investment in up to the minute design software makes committing to a new build project less daunting. By taking advantage of the latest technology you can make informed decisions right from the start. As standard practice we include 3D sketches of your house extension design with your plans to help you visualise the project. fine tune the design and give you the reassurance you need to proceed with confidence. What can I expect M P Architects LLP to do for me? A house extension project is exciting as it is something you desire, but it can be a daunting undertaking, especially if it is the first time you have considered such a project. We can give you as little or as much support as you wish. Our service to you can be broken down into 3 step. 1st step: after contacting us will be to chat to one of our architects and generally this consultation is usually free. and this is your opportunity to explore further the ideas you may have for your home with a RIBA qualified architect and during this time we expect to answer lots of questions. It is really important to us that we understand your plans. Some of our clients already have a firm vision of what they wish to achieve, but don’t worry if you are not clear in how you can change the space you have so that you get what you desire. We know that this part of the process can take some time and enjoy offering inspiration and helping define a plan that will reflect your personality and fit well with the property and its location. Ideally, we like to meet with you at the property you wish to extend so that we can get a feel for what will work for the building and its location. 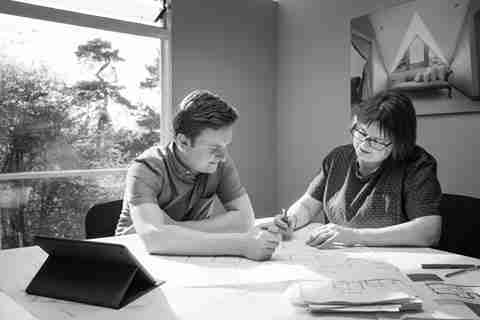 After our meeting with you, we will then go away, consolidate your ideas and write back to you with our more detailed thoughts on your project; whether it is likely to achieve planning consent or can be carried out without planning consent, quote for our fees and give guidance on probable costs that your project could incur in its construction. 2nd step: Permitted Development/Planning application drawings. If you are happy with our quote, you can then instruct us to begin the design process. This will involve our design team visiting your property again to carry out an accurate measured survey of your building and the surrounding sites. We will then prepare a design for your extension based on your brief and our quote and that will meet with your budget. 3rd step: Construction/Building Control drawings. After securing planning approval or Lawful Certificate for Permitted Development for your property. We can prepare construction drawings and submit building control application on your behalf. Builders will be able to use our construction drawings to price your project accurately. We can also mange the project on-site for you. This is described on our Project Management page. Building control fee is to be paid to building control directly by client. If you require we can quote for electrical plans, writing a specification, tendering to 3 or 4 builders, to analyse the tenders, arrange a pre contract meeting and write up the building contract and to manage project on site with site visits, monthly payment certificates and practical completion certificate followed by a visit to check on any defects after a 6 months defects liability period. We offer a personal, supportive and comprehensive service. Initial consultations are generally free, and we would be happy to discuss your project with you straight away. So if you are looking for a quality modern house extensions in London, central London or Essex, contact us today! Click here to view our Residential Extensions Portfolio. listed building specialist architects: protecting the past and building for the future. Investing in a Listed building in Essex or London is exciting: not only will you have secured a property full of character and historical interest, but you will become caretakers of a small part of English heritage. However, extensions on grade 2 listed buildings are not without significant challenges, most notably how to honour and preserve the building’s past whilst making it functionable and fit for your intended purpose in today’s modern world and still satisfy the planning criteria attached to listed buildings. As strict planning criteria and controls determine what changes can be made to the interior and exterior of listed buildings in London, you will have to apply to the local planning authority for Listed Building Consent before you make any alterations and for both planning permission and listed building consent if you are extending as well as altering the listed building. This is a legal requirement, and it is important to bear in mind that your building’s listed status may also apply to other attached structures and fixtures such as extensions. Outbuildings and barns within the curtilage of the listed building are also known as curtilage listed and will in most cases need listed building consent as well as planning permission to alter and extend. Permitted development does not apply for a listed property or for a property with thin curtilage of City of London listed buildings. Although this process can be frustrating and inconvenient it doesn’t mean that you can’t alter or modernise your property to achieve what you wish, just that any changes need to be carefully considered and carried out and meet specific criterior. Particularly consideration must be given to match existing materials and often historical details such as the very elegant timber sash windows may need to repaired rather than replaced. We are able to guide you through the planning process. Our experienced listed building architects are specialists in working with historic buildings and have worked on many listed buildings in London – particularly timber framed buildings houses and historic barns, Grade II and Grade II* status properties. Our extensive expertise in extending, converting and refurbishing listed buildings in both rural and conservation areas, means that we know how to carefully alter your building to sensitively and practically bring it up to modern standards, that meet your personal requirements, but still retain its intrinsic features, materials and details. We can, if you require, help source the right materials and craftsmen to work with you. 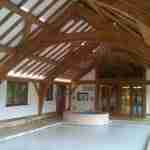 Although you will need a robust budget to carry out work on a historic building. M P Architects LLP has excellent working relationships with the local planning authorities and conservation officers and has good insight into what their requirements are likely to be. We will always be happy to give you an initial assessment of the viability of your project and likely projected costs. How do I know if my property is a listed building? A building is listed when it is noted as being of special architectural or historic interest and considered to be of national importance and worth protecting. You can discover whether a property is listed by looking at the National Heritage List for England (NHLE). Or you can contact your local authority. Often there will be additional information detailing what is significant about your building. What parts of my home does ‘listing’ cover? However, because all listed buildings are different, what is covered by a listing can vary quite widely. You should therefore always check what’s included in your listing with the local authority. What is Listed Building Consent and do I need it for a listed building in London or Essex? When a building is listed it means that there are additional planning controls outside the normal planning controls, that apply to that building, both inside and out. If you plan to carry out any alteration, extension or refurbishment work you are legally required to apply for Listed Building Consent. It is not advisable to undertake work on any building without permission. If your council finds out that unauthorised building works have been carried out without the benefit of Listed Building Consent, they may issue you with a Listed Building Enforcement Notice under ‘Listed buildings and conservation Area Act 1990’. This means that if such a notice is entered on the Local Land Charges Register, it could make the future sale or financing of the property more difficult. Carrying out, or causing the carrying out of unauthorised works to listed buildings in London or Essex in a manner which effects its character as a building of special architectural or historic interest is also an offence under Section 9 of the Planning (Listed Buildings & Conservation Areas) Act 1990 and accordingly any person found guilty of such an offence is liable of a fine of up to £20,000 and/or up to 6 months’ imprisonment upon conviction in the Magistrates’ Court, and an unlimited fine and/or up to 2 years’ imprisonment if convicted by the Crown Court. Therefore, it definitely worth investing in the expertise of experienced listed building architects in Essex to help you navigate the complexities of planning. You will need to provide detailed scaled drawings, Design and Access Statements and Heritage Statements which we can prepare for you. We have contacts with Historic Building Recorders who can survey the building and write up more detailed reports which are often also needed to supported a Listed Building Application. Do I need Planning Permission if I have Listed Building Consent to extend, alter or convert my listed building in Essex? You will need to get Planning Permission with Listed Building Consent to extend and Listed Building Consent only for alterations. 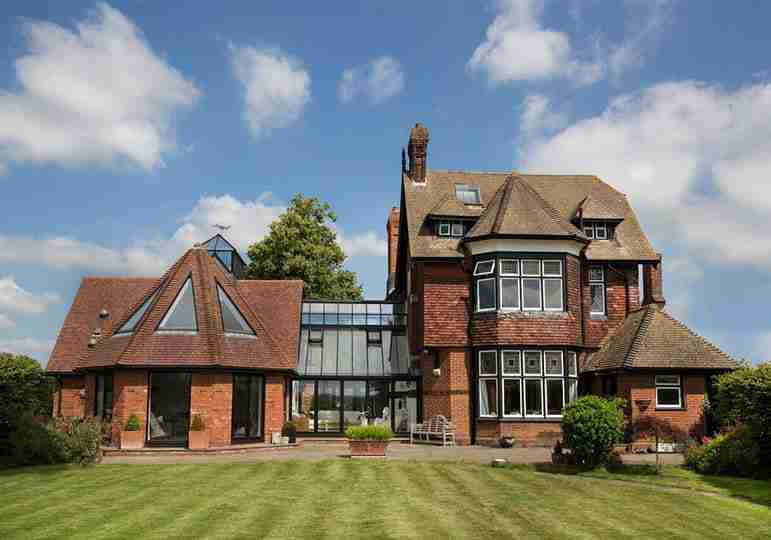 We can assist you as listed building specialist architects. (Source: Historic England – 2019) Historic England (officially the Historic Buildings and Monuments Commission for England) is an executive non-departmental public body of the British Government sponsored by the Department for Culture, Media and Sport (DCMS). 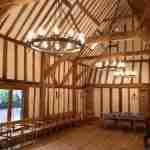 So, if you are looking for the best listed building architects in Essex, make sure to contact us today! Click here to view our Listing Building Portfolio. A leisure facility can be the ‘icing on the cake’ in terms of providing a wonderful addition to make your house and grounds more usable and enjoyable. 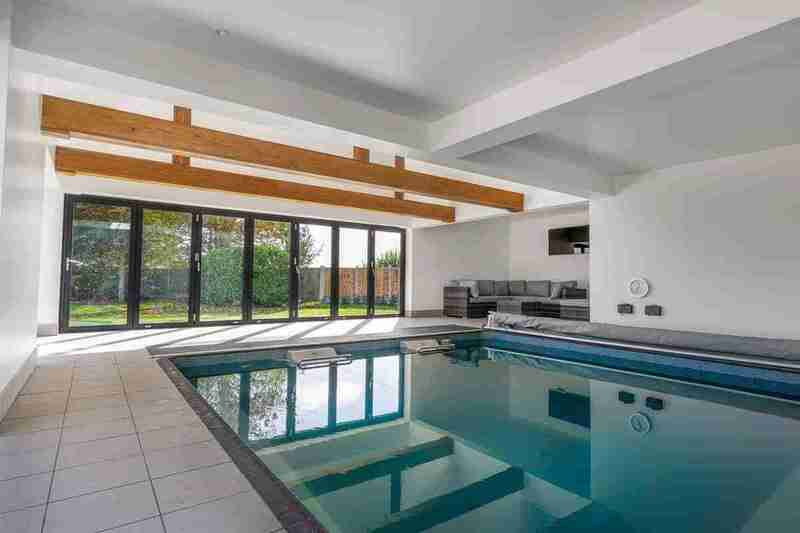 We have considerable experience in designing swimming pool rooms, games rooms and cinema rooms either as extensions to an existing home or as detached buildings in the grounds. We have even drawn plans for an indoor bowling alley into private new build home! We have expertise at designing sports buildings and have carried out feasibility studies for sports clubs trying to attract lottery and other funding for a new building or extensions to the original. 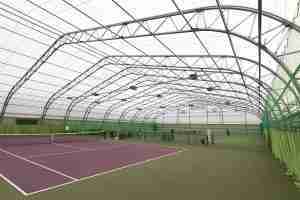 Sports facilities such as indoor tennis buildings can be designed to an economic simple standard or a ‘high tech’ design standard for public buildings. We have recently completed the design for a simple covered tennis court building. Click here to view our Sports and Recreation Portfolio. All is not lost if your planning application is refused! You do have the right to appeal to the Planning Inspectorate. Your appeal will be dealt with by Martyn Pattie, the practice partner or another one of our associates who is skilled professional with experience of the appeals system. The appeal process is not straightforward and it is difficult to predict an outcome. To ensure the best possible chances of success we spend time carefully analysing all aspects of the reason for refusal, and gathering as much relevant information as possible in order to put forward an informed and skilled argument for an overturn of the planning officer’s decision. We are pleased that we are can say that we have a very high success rate with the cases we have submitted to appeal. Our success rate would be even greater if we took out of the equation the appeals that we have put forward for clients who have wished to have a go, even though the probability of them winning was negligible. Our fees are very competitive and we can agree fixed fees for most appeals or, in occasional cases, an ‘all or nothing’ fee, where we feel there is a reasonable chance of success and the client doesn’t want to incur any additional fees until the approval adds value to the project. Martyn is always happy to give a free appraisal of your project and a candid assessment of the chances of success on your appeal. Some embrace the prospect of taking on the project management of the construction of a property. However, others may not and find the thought of securing planning permission, liaising with planning departments, managing budgets, sourcing materials and dealing with builders and statutory paperwork daunting, or simply do not have the time to take on this responsibility. If this is the case, working in consultation and agreement with you, we can reduce the worry and shoulder the pressure. We will become the single point of contact and guide your project through from inception, managing it on site until completion and readiness for occupation. We will check the construction meets current standards and ensure your property is sound and well built. We will manage the financial side for you ensuring costs are kept tightly under control and ‘extra’s are checked and within your budget. Even once you have occupied your new property we still retain a percentage of the buildings costs for six months to ensure any defects are put right by your builder before the final payment is released. For added reassurance all the construction and financial aspects are tightly controlled by a building contract which we administer on your behalf. We offer a full project management service and the assurance your building is in a safe pair of hands. Click here to view our Project Management Portfolio. The use of 3D modelling and visualisation techniques has become increasingly popular. This service is not just for commercial developers or those engaging in a large new build project 3D modelling and visualisation is becoming more popular for those having residential extensions to as well. Architectural drawings and interior plans are transformed into realistic 3D presentations. Your project can be viewed as a three dimensional image from any angle or ‘walk through’ showing the interior rooms to give a true to life image of the building you wish to have constructed. You will gain a better visualisation of your project, thereby helping you to significantly reduce the risk of misunderstanding and misinterpretation of plans. You will be able to test plans before construction and so possibly reduce post start up charges. 3D modelling is particularly useful when you are hoping to win the support of town planning departments and investors or assist in the sales of a scheme. Your presentations will be illuminating, lively and persuasive. This is an independent service which we can offer to compliment the normal architectural service we can carry out for you. Click here to view our 3D Modelling and Visualisation Portfolio. Interior Design in Essex and London. A Collaborative Approach to Interior Design in Essex and London. When it comes to London interior design firms, a collaborative approach is needed. excellent quality is important to the architects at Martyn Pattie. Our architects always look at the shell and the internal layout of a building or internal space within the building, in conjunction to ensure that there is synergy between the two elements. Whether we are drawing up plans for a new build house, a residential extension, or a block of commercial flats or offices, it is important to us that the design of your building is made up of spaces that are functional to your needs and reflect your personality or business brand (or that of the targeted end user). Interior Designers Near Me? – Of Course! Here is a contemporary office suite designed by Martyn Pattie Architects. The process of interior design can be considered as two elements. As part of our interior design services our London architect will consider elements such as; where walls are positioned, the height of ceilings, size of windows and how light is deployed. He will factor in lifestyle elements such as disability, hobbies and personal preferences. It may be that a statement staircase is desired for a new build house, or a developer wishes to build commercial flats and market them as residential homes for retired or disabled people. A barn conversion may be undertaken where the client wishes the original features to remain. When considering the spatial volume, a qualified chartered architect is trained and qualified to comment on such things as planning rules and regulations as well as building construction details, rules and safety regulations. Secondly, the surface treatment – the finishing touches. Here the full vision of our client is brought to life. This is where focus turns to the decor, ambient lighting, fabrics and furnishings. For some of our clients this is the fun bit, others like to have some help. If you require interior design in Essex or London, contact one of our advisors today! When you search online for “interior designers near me” you will get many results, but we pride ourselves on being the best around! 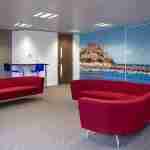 Mp Architects are one of the best London interior design firms. We promise you will not be disappointed with our services. Click here to view our Interior Design Portfolio.